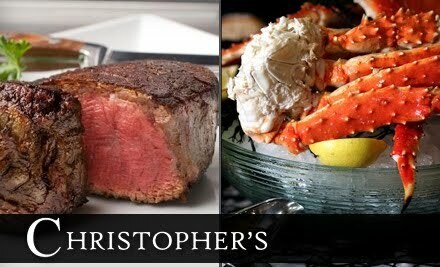 50% off at Christopher's Steak House! I've been to Christopher's Steak House a couple times and it is a NICE place! Today you can get a $70 Gift Certificate for $35!! The certificate expires 3/22/11.